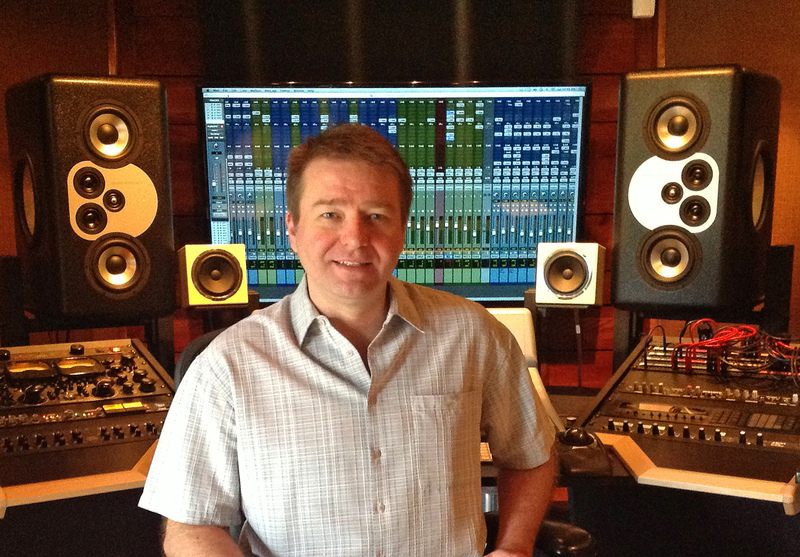 Pictured in his studio The Roost is engineer Matt McClure and his new Barefoot Sound MM12 main monitors. Nashville, TN, February, 2014 — Top Nashville mixing and tracking engineer Matt McClure has installed Barefoot Sound’s flagship MiniMain12 monitors in his studio, The Roost. In the last few years, McClure has become one of the most in-demand mixing/tracking engineers in Nashville, working with some of Music City’s finest hit songwriters, including Tom Shapiro, Jim Collins, Tony Martin, Mark Nesler, Rodney Clawson, Wendell Mobley, Ashley Gorley, Shane McAnally, Wade Kirby, Jennifer Hanson, Doug Johnson, Kyle Jacobs, Lee Brice, Ben Glover, Terry McBride, and David Lee Murphy, whose combined success has resulted in over 150 #1 singles on the country and pop charts, many of which were originally demoed, produced and mixed by McClure. McClure’s experience with Barefoot Sound goes back eight years when he demoed a pair of the smaller MM27s through Vintage King Audio. Producers and record labels that have benefited from Matt’s work include Mark Bright (Carrie Underwood, Rascal Flatts), Doug Johnson (Doug Stone, Shenendoah, Ty Herndon, James Bonamy, Lee Brice), Phil O’Donnnell (Craig Morgan), Sony Music Group, UMG Records, Warner Brothers Nashville, Broken Bow Records, and Curb Records. In 2008, McClure was asked to become a partner in a startup entertainment company, “The Fringe”, a joint venture between Matt and two hit songwriters, Kyle Jacobs and Ben Glover. Part publishing, part production, “The Fringe” became one of the fastest growing entertainment companies in Nashville. Since August 2011, McClure and Jacobs have co-produced two #1 hit singles for Lee Brice, “Hard To Love” (penned by Glover), and “I Drive Your Truck” which became the 2013 CMA “Song Of The Year”, as well as earning two Grammy nominations in 2014, and 5 upcoming ACM nominations. Barefoot Sound’s MiniMain12 is a 4-way active system with 7 drive units housed in sealed enclosures spanning 20Hz to 40kHz with vanishingly low distortion, exceptional dynamic range and ultra-fast transient response. Every driver has an under-hung voice coil moving inside an advanced geometry motor that enables it to make extremely long linear excursions. The ring radiator tweeter is incredibly detailed and produces very wide dispersion out to its highest frequencies. The aluminum cone subwoofers, woofers and midranges radiate as perfect pistons to at least 2.5 octaves beyond their respective bandwidths. Barefoot teamed up with the brilliant Bruno Putzeys of Hypex to develop the powerful and completely transparent amplifier stage of the MM12. Melding the system together is a groundbreaking DSP crossover that has taken Thomas Barefoot more than 4 years to develop. With beautifully designed high end converts and cutting edge proprietary filtering techniques the MiniMain12 produces a seamless and coherent wavefront that allows a listening distance of less that 3 feet with no sonic compromise, yet work perfectly at far field distances as well, producing SPLs equivalent to large monitoring systems.